Home/Bitcoin, Finance, Self improvement, Technical/What is a Bitcoin? Hello and welcome to my blog! This article is going to explore the question: what is a Bitcoin? In a bitcoin transaction there is usually an amount of change involved, like when you hand over a £5 note at a shop for a product costing less than a fiver. In general, the shopkeeper doesn't rip up the note and keep the proportion of it that the product costs handing you back the remainder, in bitcoin it's the same. Transactions with bitcoin can be carried out with no middle man; unlike when you pay for things by cheque, or card, cash can be handled by the individuals involved. 'Ok, great, but how does that get us any closer to understanding what a bitcoin is?' I hear you ask. Well, in a very real sense a bitcoin is one of those O labeled objects in the diagram above, an output. Outputs are created by transactions. In our diagram the customer started out with output A0, agreed with the shopkeeper that transaction B was fair and so two new outputs were created B0 (the customer's change, which was given back) and B1 (the shopkeeper's takings, which he keeps). Both outputs and transactions are stored and logged in the publicly available ledger of transactions called the blockchain. Outputs are analogous to the units of cash in your physical wallet. You might have a 20 pence piece and two pound coins in your real life wallet, for example. In your bitcoin wallet, those three pieces of cash would be represented by three different outputs. This analogy carries forward when we want to buy something that costs more than any one individual unit of cash in our wallet is worth. The only difference to a cash transaction here is that when the shopkeeper receives the bitcoins, he doesn't receive the individual units, he receives the summed total. The customer has three units of bitcoin (three outputs) labeled C0, D0 and E0 in their bitcoin wallet. They form a new transaction F which consumes (or spends) those outputs, creating a new output labeled F0 which belongs to the shopkeeper. There is no change given since the exact price is reached. Notice how the outputs are always labeled appropriately for the transaction that created them? If there were change for the customer, the change output might have been labeled F1 since F0 was the output for the shopkeeper and they always go in sequence. It should be apparent that 'a' bitcoin is not necessarily of size 1.0 in this definition. Transactions can cause bitcoins to be divided up into almost any proportion up to 8 decimal places. So in the same way the British pound can be divided up into 100 pence, a bitcoin is divided up into 100,000,000 satoshis, which are sized 0.00000001 each. The creator of the bitcoin protocol was Satoshi Nakamoto, hence the name of the smallest unit. Bitcoin also shares one important property with bank cheques. A cheque cannot be cashed without a signature; without one it has no value to the receiving party. In the exact same way, a bitcoin transaction is not redeemable by the shopkeeper unless it has been signed by the customer's wallet. This is important because all the transactions and outputs in bitcoin are stored in the publicly available blockchain. If it wasn't for the signing process there would be no concept of ownership since anyone could simply take an output they liked the look of from the blockchain, stick it in a transaction and run away with the coins. Transactions are signed with the private information held in the bitcoin wallet: the private keys. These are never shared and are not part of the blockchain. So now we understand what bitcoins are, the next question is, where do they come from? Cash (pounds, dollars, euros and so on) are minted, or created by the government. Bitcoin has its own set of analogous bodies, called 'miners'. Miners are the people who handle the flow of transactions in bitcoin. They provide a global consensus about who owns what outputs by a majority rules system, and are the people who cement the transactions you create into the blockchain for everyone to see and act upon. Now we can see where the miners fit in using our previous example. The shopkeeper uses the blockchain to confirm that the transaction is real. For that he relies on the miners. The process the miners perform is essential to the running of bitcoin. For providing this service they are rewarded in bitcoins! When a miner mints a new block in the blockchain, they are rewarded a set amount of bitcoins, currently 25 BTC. These newly minted bitcoins are the output of a special type of transaction generated only by miners. Thus, miners are the source of all bitcoins. In order to recoup the costs of mining (principally, electricity), miners need to sell their bitcoins, which introduces them into the ecosystem. What controls the price of bitcoins? There are many factors which influence the price of bitcoins. Mining bitcoins uses a vast amount of computing power because the amount of work done by a miner in order to mint a block is artificially increased as more miners come on the scene. 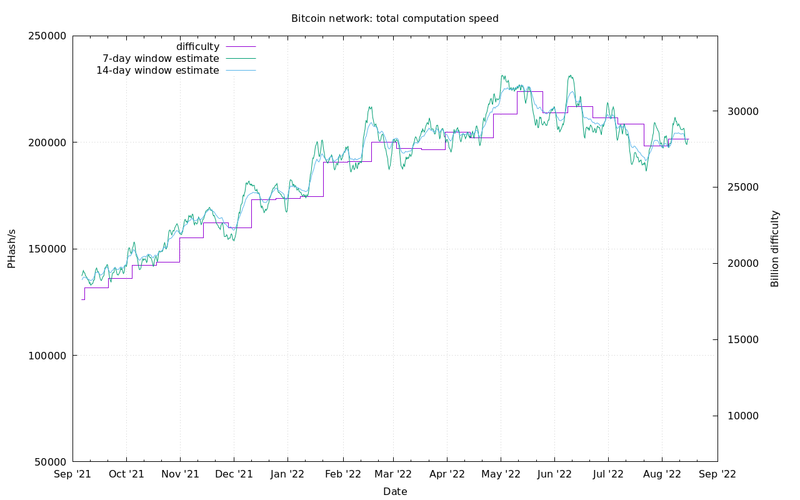 This increase in effort is built into bitcoin and is designed to keep up with Moore's law. As you can see, mining difficulty has been increasing at an exponential rate. As difficulty increases, so does the cost of electricity to run the mining farms. Since bitcoins are traded on an open market, it stands to reason that the price set by the miners has to be competitive, but they also don't want to lose money to electricity cost. There is no doubt that speculation plays a huge part in the large price swings that are commonplace in the bitcoin markets. Market participants bet on the movements of the price, and in turn their bets influence the price. I've written previously on the subject in this article. The usefulness of bitcoin has been steadily increasing over time, with more merchants accepting the currency in addition to traditional fiat currencies. Also, bitcoin has massive potential for remittances and making overseas purchasing much smoother. I'm not sure if you've ever tried to use a cash machine abroad, but it can be fraught with difficulty and associated costs, none of which bitcoin suffers from due to its global nature. As more people use bitcoin for these types of transaction instead of fiat currency, the usefulness increases and the price tends to follow. I hope you've enjoyed this article and have learned a little bit more about what a bitcoin actually is. In the mean time, please take a look at the bitcoin related game I've just released, Blockchain-reaction. It's a multiplayer board game where you can win bitcoins! Change doesn’t go from the receiver back to the sender, it goes from the sender to themselves. Since the way many wallets handle the transaction, the coin can return back to a different address associated with the same wallet. There is a surprising amount of this ‘secret’ security sensitive metadata being continually leaked. This is not a security flaw, it’s an anonymity flaw isn’t it? what a great article. thanks for taking time to explain. we are a new ecurrency platform that is launching soon and would love for you to check us out. http://www.virtex.com.